Revisiting my Shoe Portrait Series for an upcoming exhibition at The Pegge Hopper Gallery titled Art & Soul, a celebration of art and shoes. Combat Ready 2 is one of two small paintings that I will ship off to Honolulu for the February show. 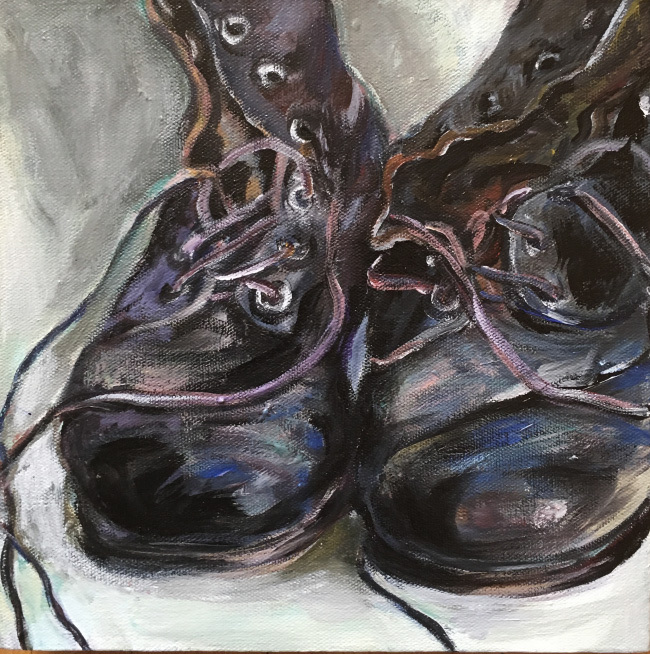 Originally, I was commissioned to paint a Shoe Portrait of an old pair of army boots for a collector to give her husband as a gift The boots were from his days at Basic Training that he held on to for many years. I loved the character of the boots, the way they were weathered and folded and the blacks had become brown and red and the laces gnarled and frozen into place. So before, I returned the boots to the client, I did a 2nd Shoe Portrait of the boots to keep. The subject also feels appropriate as I prepare to march tomorrow at the Women’s March in Washington, D.C. I also think about President Obama’s Farewell Speech last week as he reminded us that we all have work to do and challenged us to keep the faith, lace up our boots and do our part. We have work to do here. Daunting, yes, but President Obama also reminds us that together, we can. Keep the faith and march on! Back at you Bobbi, thank you. I love you how are so engaged in the arts and education in so many ways. You are an inspiration to me. 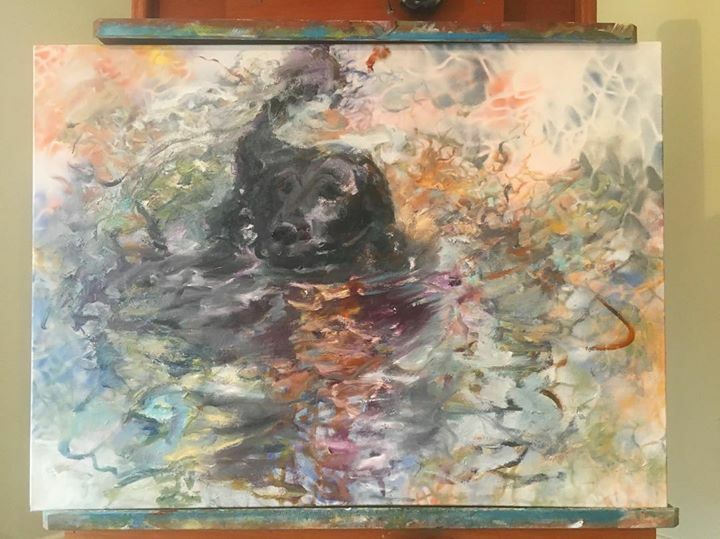 Wonderful painting of the boots. You really captured the worn importance of these shoes to the owner. The viewer can sense all the stories that go along with the crumpled leather. Thank you Pam! The boots had so much personality I am glad that it was conveyed since they have long since been returned to their owner.